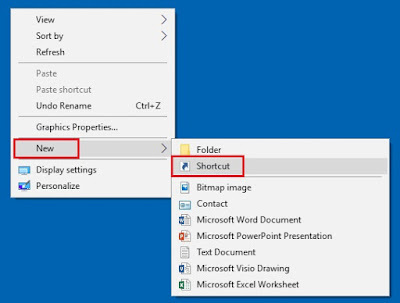 Microsoft Enterprise Messaging tips, tricks, and general help. 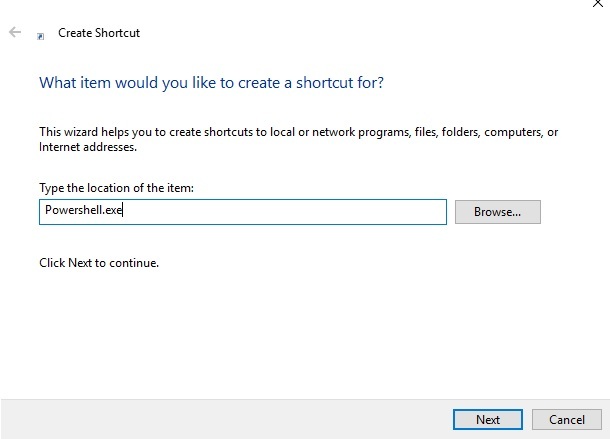 In a previous post, I showed how to create a Remote PowerShell shortcut for Exchange on-premises, to save you from having to type in the remote session every time you connect. Since I've been doing more work in O365, I decided to do the same for that; especially because Office 365 has many more connections you have to run, such as Exchange, Skype For Business/Teams, Azure AD, and Security Center. 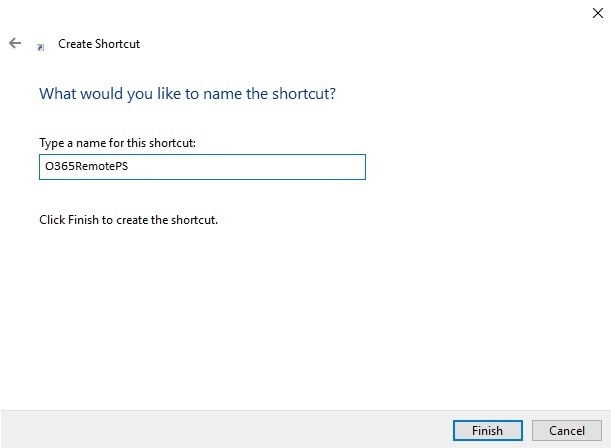 This PS shortcut will install and import those sessions and get you signed in all in one shot. **Note** As of this writing, the SFB Online Connector will manage Teams as well. **Note** The Exchange Online and Security Center won't work if you run MFA. For that, you need to install the EXOPS modules, which can't be run in a single window. 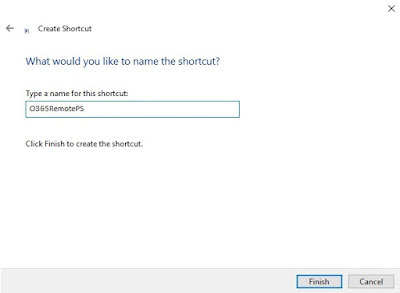 Give it a name like O365RemotePS and click Finish. 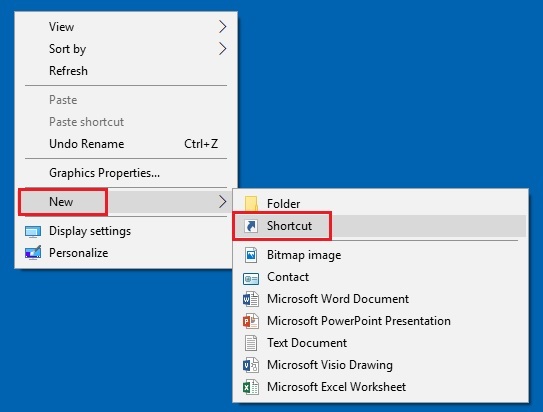 Right-click the new O365RemotePS shortcut, and go to Properties. 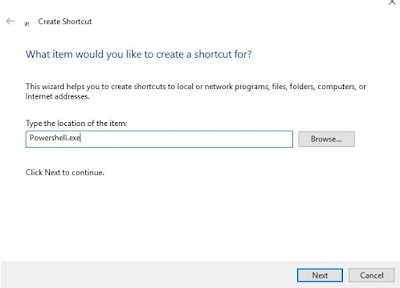 Run your new shortcut as admin, and you'll get a creds prompt for your Office 365 organization. **Note** Enter creds in the username@orgname.com format. Once it starts the remote session, you'll be able to run your O365 cmdlets.